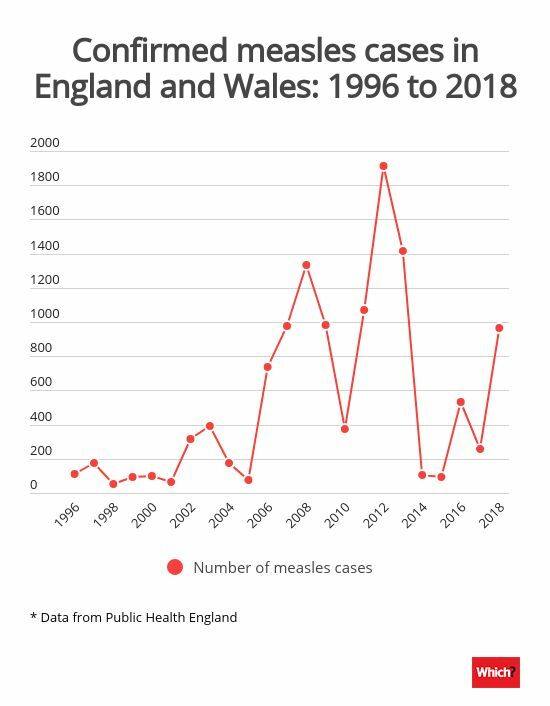 There were 966 reported cases of measles in 2018 in England. This is a massive increase from the year before, when Public Health England reported 259 cases. The increase has been attributed to a record Europe-wide outbreak which has seen nearly 83,000 people contract measles across the continent from January to December 2018. 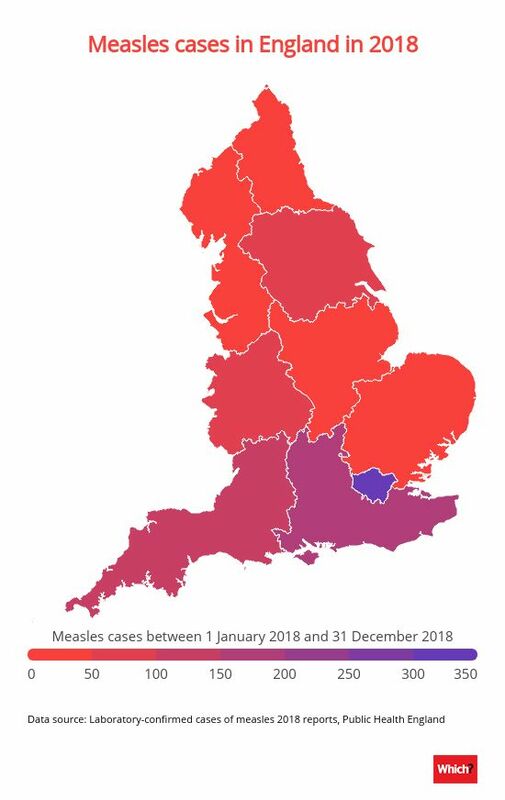 The majority of measles cases have been in people who are not vaccinated, especially young people aged 15 and older who missed out on the MMR vaccination when they were younger. About 30% of those infected have been admitted to hospital. One of the symptoms of measles is a high temperature, so it’s vital you have an accurate and easy-to-use thermometer to help you monitor your patient. Head straight to our first look digital thermometer reviews. Dr Mary Ramsay, head of immunisation at Public Health England, said: ‘We will continue to see measles cases in unvaccinated individuals and are monitoring the situation carefully. People who have not had two doses of the measles, mumps and rubella (MMR) vaccine are particularly at risk. Measles is a highly infectious virus that causes a rash and high fever. If a child catches it, he or she may spend around five days in bed, and may be off school for 10 days. However, it’s even more serious in adults, and those that catch it could be ill for much longer. According to the NHS, around one in every 15 children will develop more serious complications as a result of measles. These can include ear and chest infections, fits, diarrhoea, encephalitis (infection of the brain), and brain damage. Fatal cases of measles are extremely rare, but not unheard of. Measles is a virus, so there’s no specific treatment if you or your child catches it. You can ease symptoms with painkillers and rest, and you should stay home until you’re no longer infectious. Someone exposed to the virus usually shows symptoms seven to 14 days later. People with measles can spread the disease from four days before the rash starts until about four days after that. If you’re worried that you or your child might have come into contact with someone with measles, or you think they might have the illness, contact your GP or call the NHS helpline on 111. Worried about a rash on your child? Read our guide to common childhood rashes for more advice and guidance on what to do if your child develops one. Last year marked fifty years since the development of the first measles containing vaccine and its introduction into the childhood immunisation programme. In 1988, the measles, mumps and rubella vaccine (MMR) was introduced, with children receiving one dose when they were around a year old, and a second dose when they were pre-school age. It is estimated that 20 million measles cases and 4,500 deaths have been prevented since 1968 in the UK because of the vaccination. In 1967, the year before the first measles vaccine, there were 460,407 notifications of measles cases. By 2016, this figure had dropped to 1,642. However, there have recently been increases in the number of measles cases as unvaccinated children have picked up the infection in localised outbreaks or while travelling abroad, where vaccination programmes have less uptake. It’s also linked to a lower uptake of childhood vaccines in the UK, or failing to receive both doses of the MMR vaccine. Recent outbreaks have hit London, the South East and the North West of England. There were no cases of measles in Northern Ireland in 2018. We requested measles data for Wales and Scotland but had not received any prior to publication. 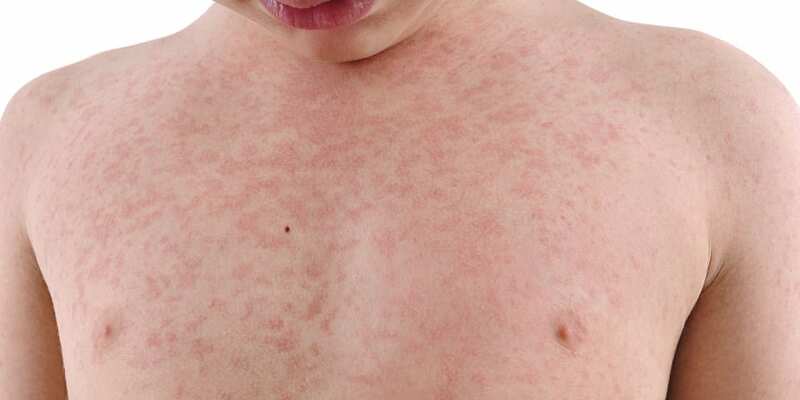 Tagged as: child safety digital thermometer illness measles red rash what rash is this? Taking your child's temperature: what's safe and what's not?